The IGNITE PWRADAPT shoes offer a blend of modern and classic styling, constructed with a lightweight waterproof and breathable 2-way stretch mesh upper, for an athletic fit and feel, with premium aniline leather detailing. With the revolutionary IGNITE foam the shoe provides excellent energy return for a more responsive feel, comfort and stable cushioning. PWRFRAME ultra-thin TPU frames high stress areas on the upper for even more support and increased stability, with an external TPU heel counter which provides excellent support and stability for a locked-in feel. 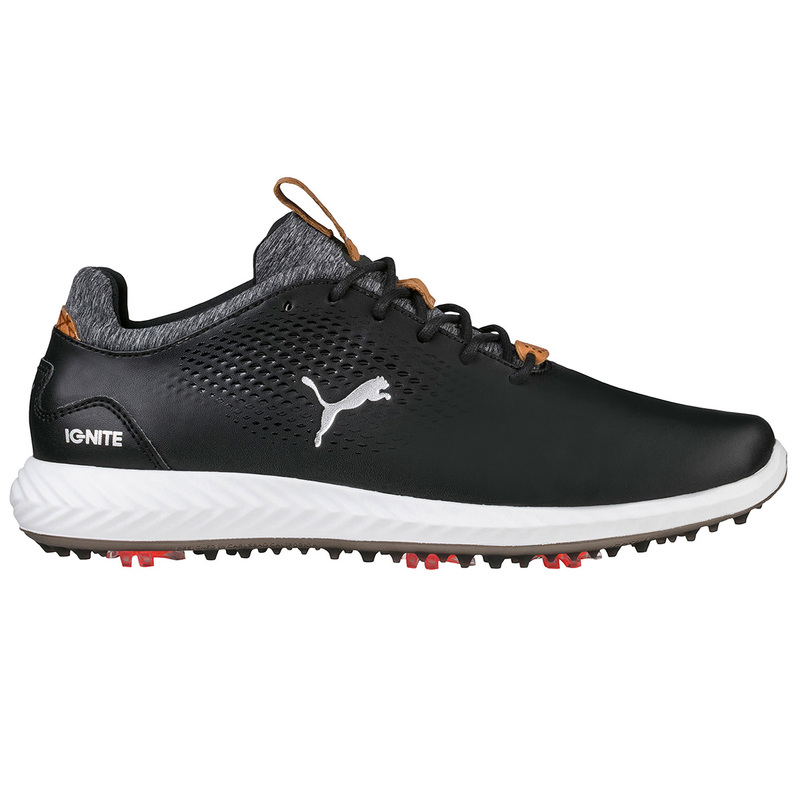 The shoes have been designed with a high abrasion TPU outsole for long lasting durability, with PWRADAPT 3-dimensional traction, for increased performance and traction throughout your golf swing. 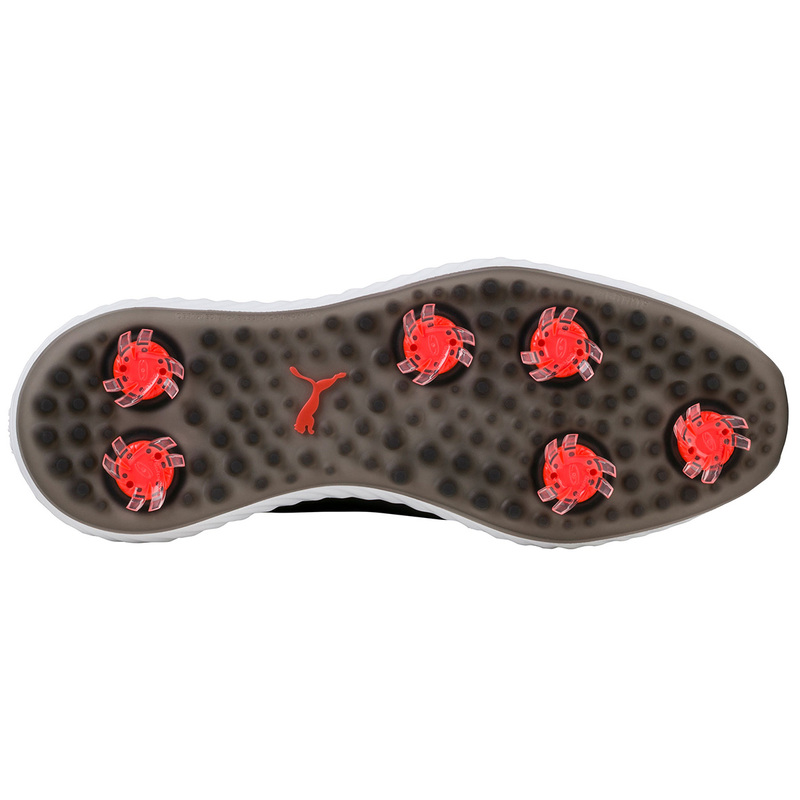 For even more performance the shoes feature a dual-talon low-profile Tornado cleat made with K5, these cleats provide maximum traction and are abrasion resistant for long lasting performance. The cleats utilise the Fast Twist 3.0 system for easy removal and fitting. More comfort has been added with a bootie construction for a better fitting and lock-down support, plus a Pro-Fit PU insole provides a ultra-soft long-lasting comfort feel. Other features include subtle reflective laces.